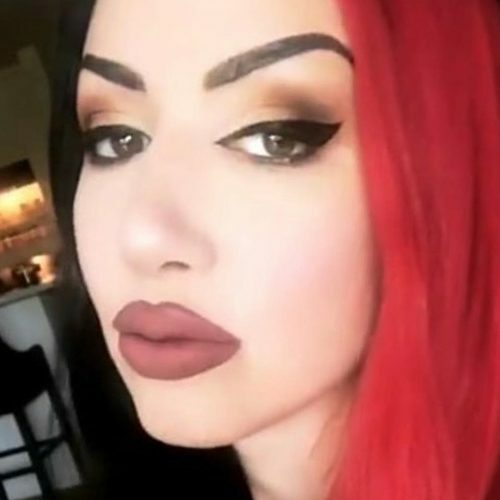 Ash Costello wears smokey black eyes and bold wine lipstick. 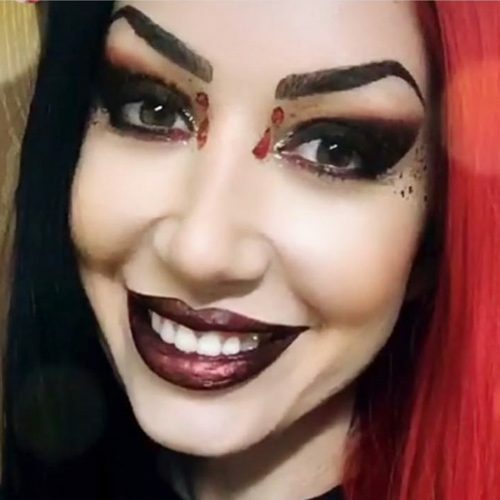 Ash Costello does a smokey eyes makeup tutorial using Jeffree Star Cosmetics. 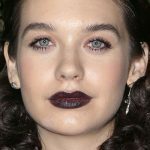 For her eyes she first uses Urban Decay shadow primer, then she applies Jeffree Star Weirdo black lipstick on her eyes before moving on in applying and blending the black eyeshadow. 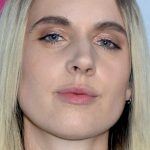 She said this is a trick she does in order to obtain the perfect jet black eyeshadow she is looking for. 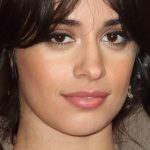 She also used MAC black for her eyebrows, MAC blushes in Dame and Raizin, Ardell lashes, Urban Decay Perversion eyeliner and Jeffree Star lipstick. 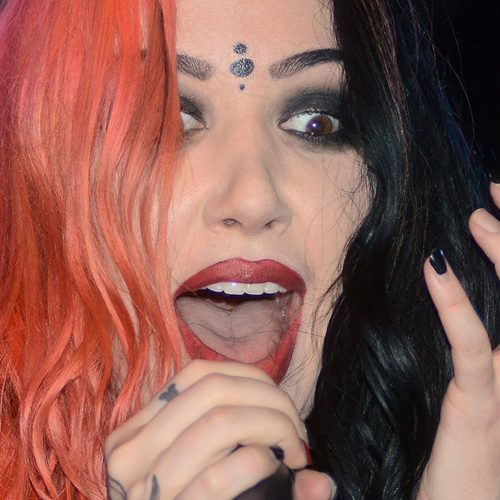 New Years Day at the The Birthday Massacre in Concert at The Bottom Lounge in Chicago, IL on December 14, 2014. 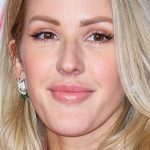 New Years Day at the The Vans Warped Tour at First Midwest Bank Amphitheatre in Tinley Park, IL on July 20, 2013. 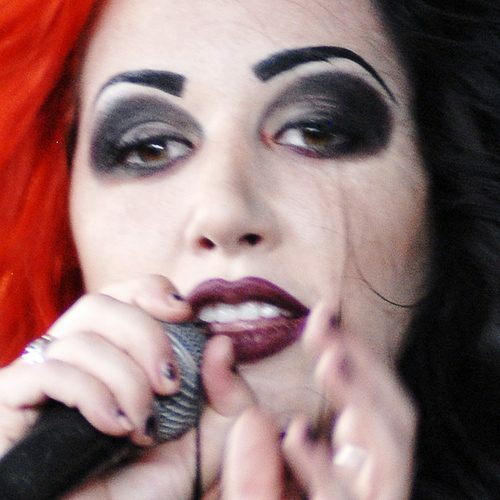 Ash Costello wore intense black eyeshadow with spider web eyeliner contour around her eyes and burgundy lipstick in the music video “New Years Day – Kill or Be Killed”. 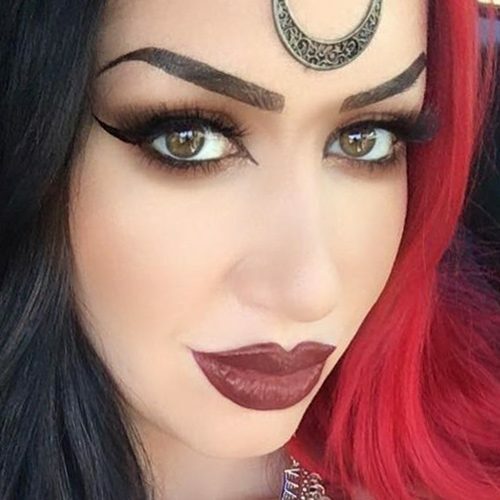 Ash Costello wore glittery smokey eyes and dark matte red lipstick makeup for an interview with Tattoo Magazine. 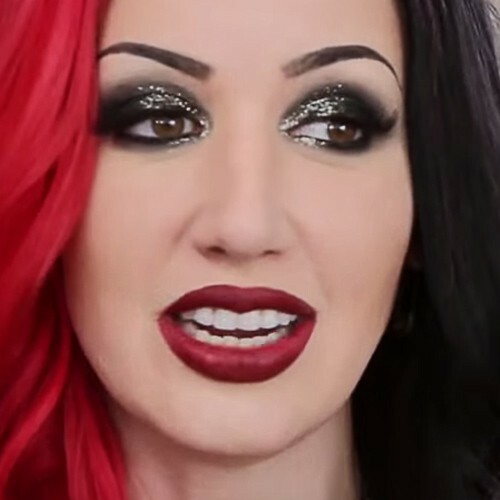 Ash Costello wore black winged eye-makeup and black lipstick in New Years Day’s music video for “I’m About to Break You”.